Who noticed this one tiny thing on Bitcoin’s price chart: the rounded bottom in March/April of 2018? It is a small but extremely powerful signal, and it suggests that Bitcoin (BTC) is back in a bull market in 2018! 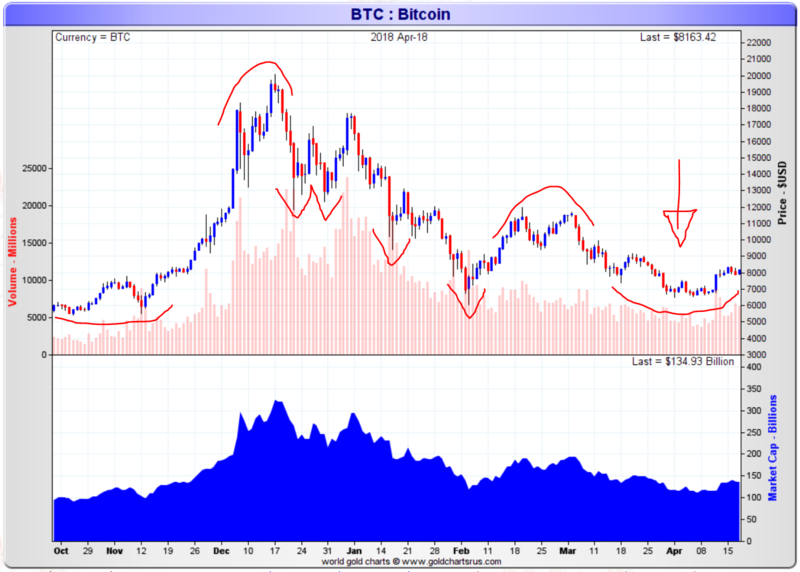 If we look at the Bitcoin chart, courtesy of GoldChartRUs, the one that everyone found so scary until today included, there is an amazingly strong pattern which we noticed 4 weeks ago when it started to unfold: a rounded bottom. This type of formation suggests selling has exhausted.